I am awful at accessories. The dress was a no brainer, (Sincerity Bridal, style 3889 if you want to look it up), but the accessories have been the hardest part. What I'm trying to decide right now is if a necklace would be too much. I have a sparkly belt that goes around the waist, and some very blingy drop earrings. I will as well have a sparkly comb in my hair. The dress is off the shoulder, portrait neckline. Would you get a necklace too, or would you call it a day? I am going for a sophisticated, elegant look. I'm worried about looking like I'm going to prom, or like I'm 12 playing dress up, but I don't want to leave an important part of my ensemble missing, you know? What a gorgeous dress, OP! I always recommend taking a cue from how the designer styled/accessorized the dress in their photo. I think with the portrait neckline you don't need a necklace at all (and the model isn't wearing one in the photo). All you need is a pair of statement earrings. That's what I was thinking. I've seen it styled with a statement one, but I think statement necklaces (though I like them) are a fad, and I might regret that 10 years from now. And thank you You are so sweet. I would skip the necklace. I wouldn't want to take away from that beautiful neckline. OP that dress is gorgeous!!!! I would agree with the others that I nice pair of earrings will be all you need with that dress! I would even skip the belt and just wear earrings. What a stunning dress! I'd skip a necklace too. Beautiful dress! Traditionally, the only jewelry permissible for a bride to wear was a simple strand of pearls and earrings. This changed with the advent of the strapless ballgown wedding dresses. I think pearls would be nice with that lovely lace dress, but I would not do the statement earrings, just simple drops. If you do want the big statement earrings, skip the necklace. Less is more. I would skip the necklace with that neckline and bold earrings. When I think about accessories, I put everything I want out and then take something away. I think I would skip the necklace. Less is more. That is a beautiful dress - love the neckline. I agree you should skip the necklace unless it is a simple strand of pearls. I also wouldn't go to blingy with the earrings. That's a gorgeous dress! I don't think you need a necklace with that neckline. Thanks everyone! I had my first fitting a couple weeks ago, and i put it on with the belt and the earrings, and I think you all are right that it's just enough. You could also do a nice bracelet and earrings. I had a lace neckline as well and skipped the necklace; went with long pearl earrings and pearl bracelet. The problem I'm having with a bracelet is finding one that doesn't catch on things. My skirt is a lot of really silky tulle, and I'm worried one wrong move and it's done. It can't be bustled either so I have to wear it up on my arm. 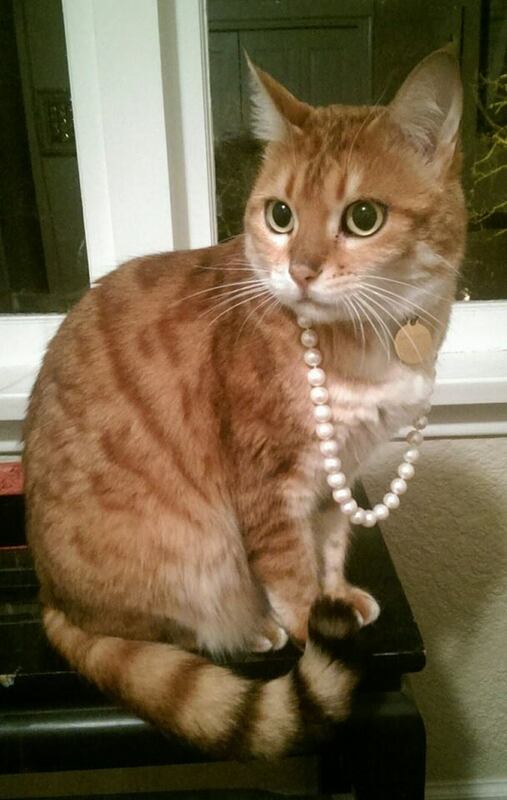 I realize pearls won't catch, but I'm not a fan of them for myself. On others? Pretty. On me? Nah. Absolutely love the dress. I think you are in good shape on accessories and can skip the necklace. The neckline on the dress is really pretty and you wouldn't want anything to take away from that.